We hear it every day: “Experts say……” I have stated again and again that I am going to start counting how many times each day I see or hear media reports that draw conclusions based on what “experts say.” This doesn’t come from just political issues, but every issue that is important to Americans: anything that the media covers. Remember when news reports in print, television, and radio, “experts” really meant something? When reports quoted a president, a governor, a member of Congress or of the President’s cabinet, and listed that source as an “expert,” it meant something. Americans could put stock in the fact that whoever that expert was really knew something that the reader, listener or viewer was not privy to. Not so today. Here’s what I wonder: why hasn’t someone in the media taken on that challenge that is front-and-center in most Americans’ minds today: WHO IS THE EXPERT? I promise you, there’s a juicy story there. For that reason, it is hard for this journalist to believe no other journalist has found it sufficient to justify a story. That alone IS sufficient for a story — an investigative story. So you get one today with a follow-up Part II tomorrow! They’re everywhere! Seldom do we read or hear a story in which that story itself gives credit to its credibility because of an “expert” who sourced the information in that story. But seldom does the story give the identity of that expert. I wonder why that is? In no other setting has there been so many experts than in the area of border walls: what they specifically are, their cost, their feasibility on the World stage, their effectiveness in other places, their effectiveness or lack of effectiveness at the U.S. southern border, and the predictions of everything to do with them — all from “experts,” of course! It’s strange to me that so many Wall experts could have such diverse opinions about the subject, especially since they’re all experts! We are going to do a two-part study of these “experts.” Today we will look at the experts regarding border walls. Then tomorrow we will introduce you to all those Intelligence experts that have shaped the foreign and domestic intelligence processes for the United States. These Historians — “experts” — point to border wall failures, like Berlin, WW II in Germany, and the U.S. Southern border wall! Those historians did not mention any of the other 160 border walls standing now in countries around the world that are effectively deterring those whose border violations caused their building. Afghanistan is right now building a border wall with Pakistan that runs the entire length of their border — through mountains! In the summary below, we’ll talk about the specifics of how the media use the term “Experts,” and why they do. But first, let’s look at some information delivered by “REAL” experts. Why are these “real experts?” Because they are named and they know what they’re talking about! Israel and Hungary. As President Trump seeks to fulfill his promise to build a wall on the southern border, he is getting support from leaders in countries that have erected their own border barriers — and who hail those projects as critical to battling illegal immigration. Trump, too, has cited countries like Israel — which has a network of walls and fences on its borders — as proof that barriers work as he seeks to convince Congress to fund a wall or steel barrier to the tune of $5.7 billion. Democrats in Congress have refused to entertain his proposal, calling a wall both “immoral” and ineffective, and only agreeing to $1.3 billion in more general border security funding. That led to a month-long shutdown, which temporarily ended last week. Funding is set to expire again on Feb. 15, and Trump has warned that he is prepared to declare a national emergency if no wall funding is agreed to. The president said Friday there’s a good chance he’ll take that step while saying House Speaker Nancy Pelosi is “hurting this country so badly” with her stance on the wall. But despite claims that such barriers are ineffective, in countries such as Israel and Hungary, top officials say they are a key mechanism in keeping a border secure and illegal migration flows down. “Since we built a fence, and since the police and army have been there, we basically have no illegal migrants on the territory of the country,” Hungarian Foreign Minister Peter Szijjarto told Fox News in an interview last week. “There are constant attempts to break through, but the infrastructure itself, namely the fence, and police and the army, make it impossible to get in. So that’s a success,” he said. In Israel, Prime Minister Benjamin Netanyahu’s government built a wall in the West Bank as a counter-terrorism measure, as well as a “smart fence” on the southern border with Egypt — Israel’s longest border — to prevent migration from Africa. Israel’s Ambassador to the U.N. Danny Danon said that the border once had a “flimsy wire fence” that allowed smugglers and traffickers in the Sinai Peninsula to enter Israel, but that was changed in 2010. “From 2010-2013, we built a system of two layers of fencing, with advanced surveillance equipment,” he said. “And the results speak for themselves: border crossings dropped by over 99 percent, from 9,570 in the first half of 2012 to 34 in the first half of 2013.” Netanyahu has repeatedly hailed the success of the border. In 2017, he said, “President Trump is right.” Netanyahu continued, “I built a wall along Israel’s southern border. It stopped all illegal immigration. Great success. Great idea,” he tweeted. Recently, responding to the viral 10-year challenge meme, he posted side-by-side pictures of the fence on the Egyptian border in 2009 and 2019. He also dismissed the difference between a fence and a wall as a “technical question.” “It’s an infrastructure which physically makes it impossible for people to cross,” he said. NBC NEWS. “When President Trump argues that the United States needs a wall along the southern border, he likes to point to San Diego’s success. There, double and triple barriers fortify the westernmost stretch of the nearly 2,000-mile U.S.-Mexico border as U.S. Border Patrol agents drive SUVs along frontage roads and hover overhead in helicopters. The militarized border touching the communities of Imperial Beach, San Ysidro and Otay Mesa contributed to a 75 percent decline in crossings in the years immediately after fencing was installed in the 1990s, according to U.S. Customs and Border Protection data. BORDER PATROL OFFICIALS. “National Border Patrol Council President Brandon Judd, who served as a Border Patrol agent for 21 years. He stressed how important physical barriers are on the border. “I can personally tell you, from the work that I have done on the southwest border, that physical barriers, that walls actually work,” Judd said. “You hear a lot of talk that there are experts that say that walls don’t work. I promise you that if you interview Border Patrol agents, they will tell you that walls work. I worked in Naco, Arizona, for 10 years. We didn’t have physical barriers in Naco, and illegal immigration and drug smuggling were absolutely out of control. We built those walls, those physical barriers, and illegal immigration dropped exponentially. Anywhere that you look, where we have built walls, they have worked. They have been an absolute necessity for Border Patrol agents in securing the border,” he said. “We need those physical barriers, and we appreciate President Trump and all of his efforts in getting us those physical barriers. There’s also a lot of talk on this shutdown, that federal employees do not agree with the shutdown. I will tell you that’s not true,” Judd said. Art Del Cueto, vice president of the National Border Patrol Council, also a longtime Border Patrol agent out of the Tucson Sector, said he and his colleagues are all affected by the shutdown and they fully support the president and all his efforts to secure the nation’s borders. NATIONAL BORDER PATROL COUNCIL. Hector Garza, vice president of the National Border Patrol Council, who is also a Border Patrol agent on the Texas border, thanked Trump for advocating for Border Patrol agents and called on Congress to fund border security and the wall. “I just want to talk about some of those criminals that Border Patrol agents apprehend on a daily basis. We’re talking about murderers, rapists, people that commit very serious crimes in this country. ICE has been doing an amazing job in deporting a lot of these people back to their countries,” Garza said. “Unfortunately, once we deport these people, these people will not stay in their country. These criminal aliens that have been released from jail, that have been deported, will come right back into the United States. However, if we had a physical barrier, if we had a wall, we would be able to stop that,” he said. And let’s be totally honest: most of the “experts” quoted in the media are fake! When confronted for the identities of those “experts,” IF the media will identify them, (which is seldom) it is discovered they are not in any way an “expert.” Then to make matters worse, when someone is quoted in one media as being an “expert,” other media sources pick up on that and report in THEIR story, saying “Experts say……..” And the expert they reference is simply the other media outlet quoting their sham expert! Fellow Americans, it is time for all of us to force a stop to the gross misrepresentation by Democrat controlled media. 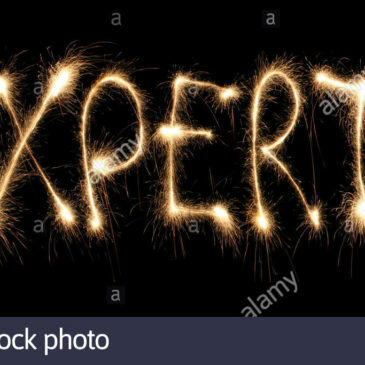 We need to demand ALL media outlets stop “telling” us their source is an “expert.” GIVE US THE NAME OF THE SOURCE OR SOURCES AND LET US VERIFY TO OUR OWN SATISFACTION THE EVIDENCE PRESENTED IS FACT OR FICTION! It’s a simple task: just give us the expert’s name. In each story where you reveal the expert, do so with a link to the expert’s biography so those who care about expert verification can do a little research. “Research and Investigation.” Gee: isn’t that a novel idea! Tomorrow it gets really dicey here as we tackle another modern-day disinformation debacle: the Intelligence Agencies. You don’t want to miss as TruthNewsNetwork calls them out with FACTS!